09 Aug 2017 / 09:19 H.
BUENOS AIRES: Human rights groups said Tuesday that an activist supporting the Mapuche indigenous group in Argentina who went missing a week ago has been "forcibly disappeared" by military police. Santiago Maldonado, 27, was detained by state forces after joining in a Mapuche protest mar, campaign groups including the Grandmothers of the Plaza de Mayo said. The Grandmothers have campaigned for decades for the victims of the country's 1976-1983 dictatorship. Ex-military leaders from that era have been convicted of deaths and disappearances under the regime. "It is tragic that in this, our country's longest ever period of democracy, we should have to report the forced disappearance of a person," the president of the Grandmothers, Estela de Carlotto, told a news conference. Norma Rios, president of the Permanent Assembly of Human Rights, added: "This is clearly the forced disappearance of a person by a state entity." 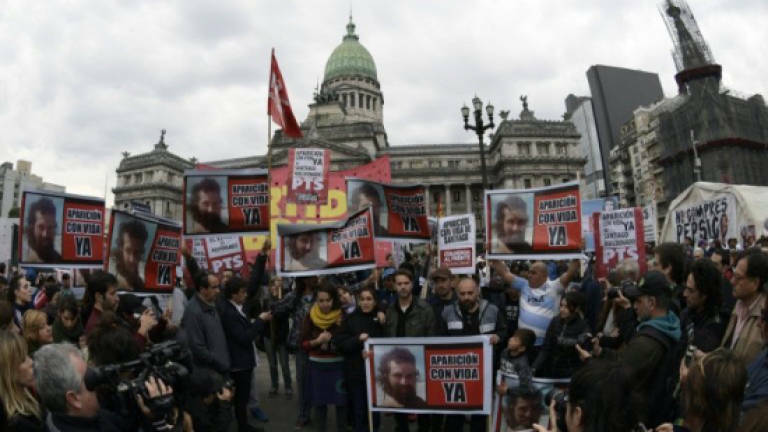 The groups called for a demonstration on Friday to demand Maldonado be released alive. He is said to have last been seen being put into a military police vehicle by officers who broke up a demonstration in the southern province of Chubut. The demonstrators had been demanding the release of a jailed Mapuche leader. Maldonado moved from the Buenos Aires area to Chubut last year. The Mapuche are considered the earliest inhabitants of parts of Argentina and Chile. Their numbers were reduced after the Spanish conquest and subsequent independence of the countries. They have since pursued historical claims against the authorities for territory and rights.